Mischief Theatre Company's hugely successful comedy has hit the road with a national tour beginning at Birmingham Repertory Theatre. Created in association with The Rep, the production is currently set to visit venues until June 2019 while the West End production continues its run. 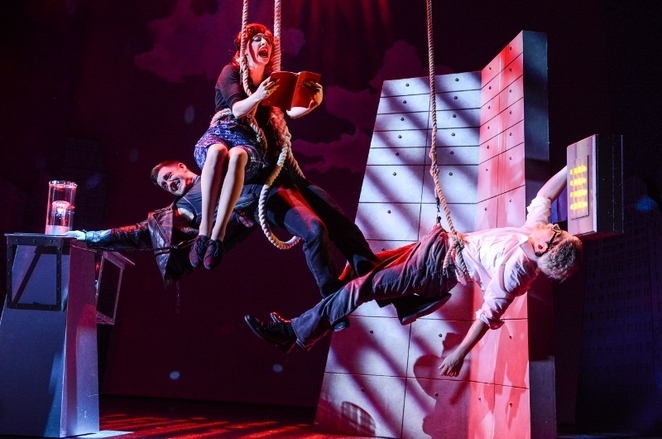 Written by Henry Lewis, Jonathan Sayer and Henry Shields, The Comedy About A Bank Robbery is literally that – in a non-stop caper that blends tongue-twisting dialogue with slapstick. 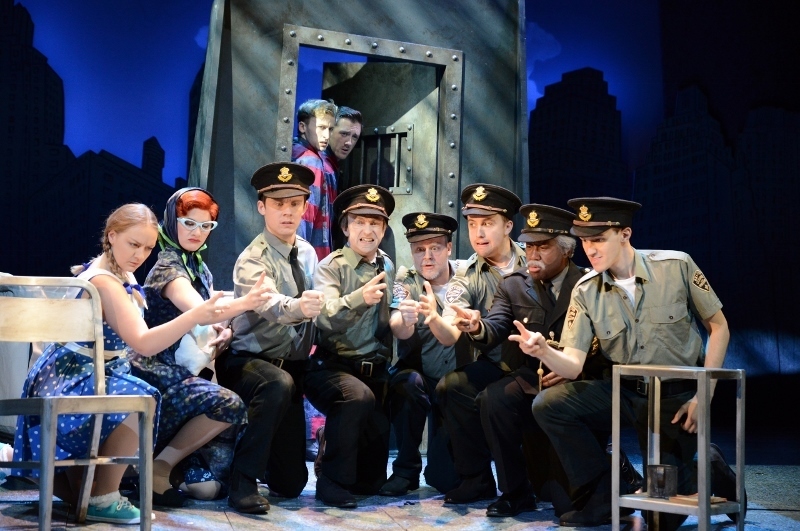 Following the huge success of The Play That Goes Wrong and Peter Pan Goes Wrong, Bank Robbery has all the ingredients for successful comedy – criminals on the run, confused identities, romance, dim-witted law officials and a nudge of naughty Carry On style humour. David Farley's sets are ingenious – sometimes taking on their own role such as when, for example, a double bed keeps malfunctioning and catapulting characters against the wall. There's also a brilliant scene when the audience joins the robbers in looking down on an office – an illusion created by the actors performing on the wall. Originally directed by Mark Bell with Kirsty Patrick Ward as the tour director, it's all very tongue-in-cheek with the jokes shared with the audience so we become complicit in the storyline and its crazy scenarios. By ensuring the pace and the gags keep coming, the audience goes along with it, enjoying every moment. There are some great characterisations – Liam Jeavons is the supercrook Mitch while Julia Frith is so duplicitous as his girlfriend Caprice that nobody can trust her. David Coomber is hilarious as Mitch's sidekick Cooper and Yolanda Ovide takes us all in as the bank receptionist Mrs Monaghan. It's great to see a successful company like Mischief working with regional theatres to take its productions on tour rather than depending on audiences to travel to the capital to see shows. And with the strong reputation both the company and this show has already built, the next few months should see full houses enjoying their distinctive brand of comedy.